Hi, I’m Steven Philipps-Harries, a Deputy Training Safety Officer at Castlemartin Training Area. I blogged early last year about how Castlemartin operates and while we’re on a short quieter period I thought I’d blog again. 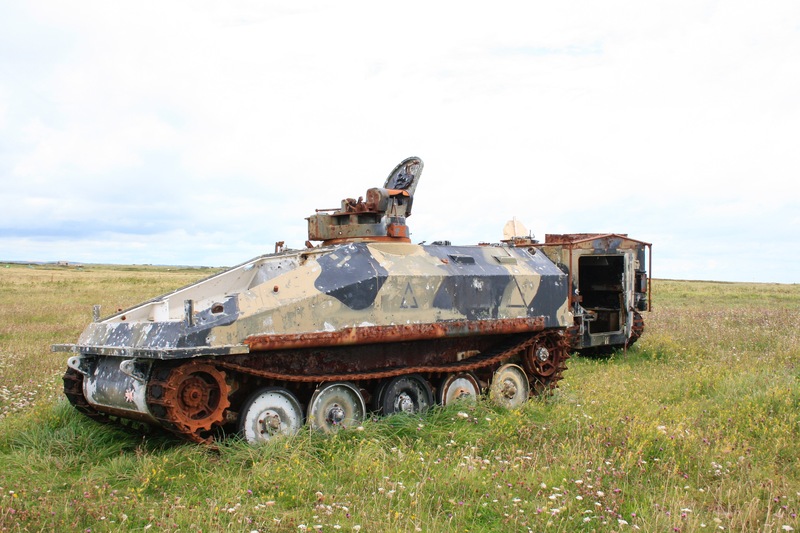 Here’s a bit of a behind-the-scenes look at Castlemartin. When I say ‘quiet period’, I mean in relative terms! Last year 153,566 man training days took place here and that training involved the firing of more than 3 million rounds of ammunition. 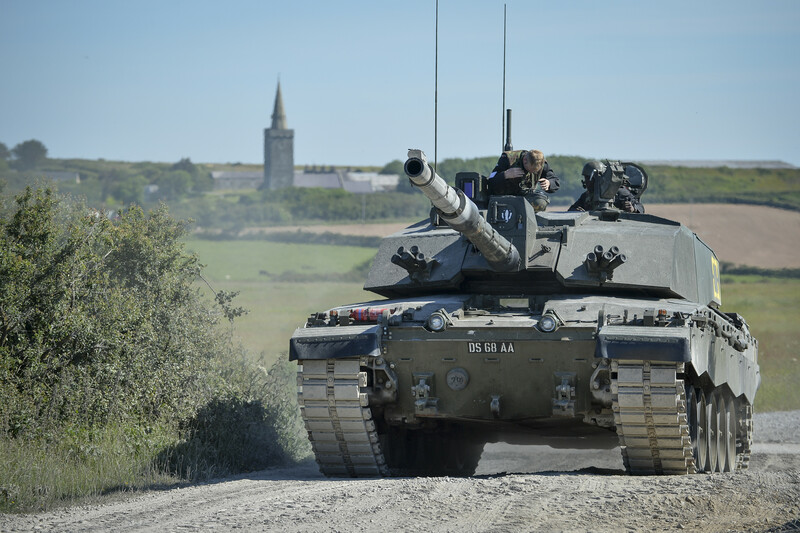 However, Castlemartin doesn’t host any training over August and we use the opportunity to undertake maintenance tasks, like repairing the tank tracks. The gravel tracks take a lot of punishment from tanks and other heavy armoured vehicles moving over them and we spend about £100,000 per year keeping them up to scratch. However, it’s not all quiet as we host a number of cadet annual camps at this time of year. It’s always great to see the youngsters out and about on the training estate and hear from those who have an interest in the forces. It also gives our team in the targetry workshop a chance to build up a stock of targets before the next exercises start up and they all get destroyed! Lots of the targets we use are made by hand and require a couple of people to make and assemble. We also use some old armoured vehicles for targets for bigger weapons, such as those on Apache helicopters. In fact, we have quite a range of capabilities here. We can handle anything from infantry manoeuvres to helicopters and fast jet aircraft. The Royal Marines often come here to practise their amphibious skills and we also host armoured units and artillery. We’re too small to host a whole-Brigade live firing exercise but we can conduct a Combined Arms Battle Group live firing exercise. One of the best things about working at Castlemartin is the scenery. 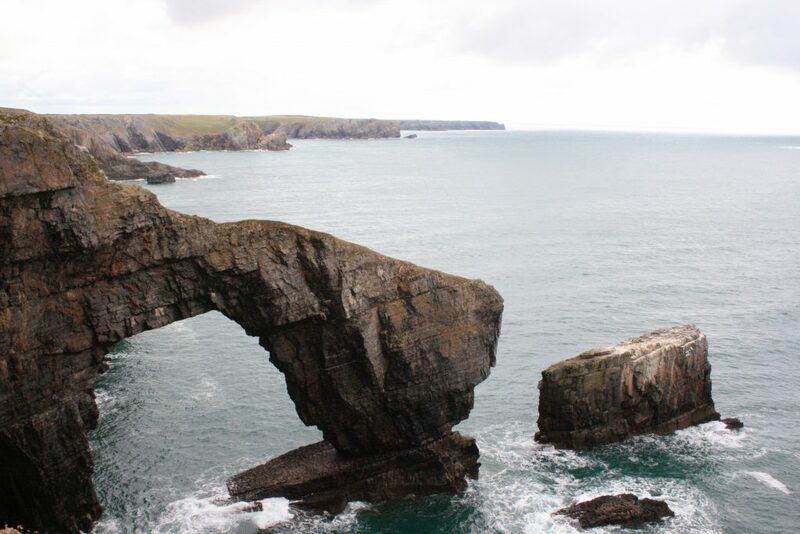 We’re located in Pembrokeshire and have a fantastic setting on the coast. On Range East, a section of the Training Area which is open to the public, when training isn’t taking place, is St Govan’s Chapel. 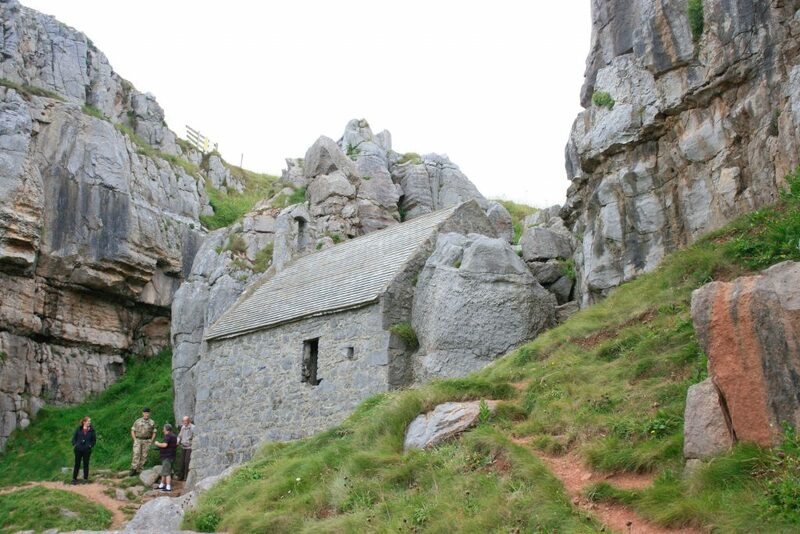 St Govan was a 13th Century hermit who lived in a tiny chapel built right in the cliffs. It’s worth a visit if you’re in the area. You could then walk the three miles down the coast to Stack Rocks and the Green Bridge of Wales. We get lots of seabirds making their home here, whether temporarily or permanently, and some stunning sea cliffs. Climbers love it here on both Range East and Range West. Though Range West is closed to the public, we allow climbers to access the sea cliffs for climbing once they’ve attended one of our safety briefings. There are some unusual rock formations and other points of interest. Frainslake Beach was used to train troops for the D-Day landings, and there’s an old dilapidated and flooded mill which is an interesting sight, perched in the middle of a pond. An old farmhouse hides an orchard of apple trees which is maintained by Lynne, the Park Ranger for the Pembrokeshire Coast National Park Authority who is permanently based at Castlemartin. The apples are delicious! 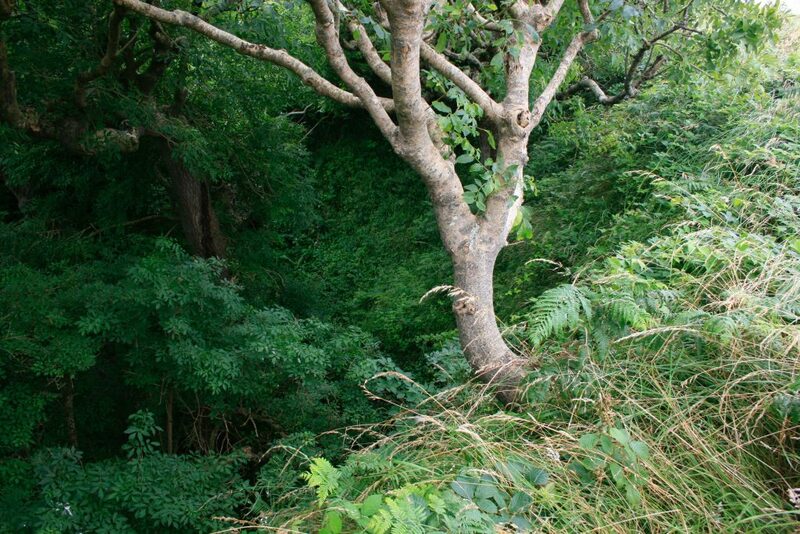 There’s also a fig tree – not a common sight in Wales. 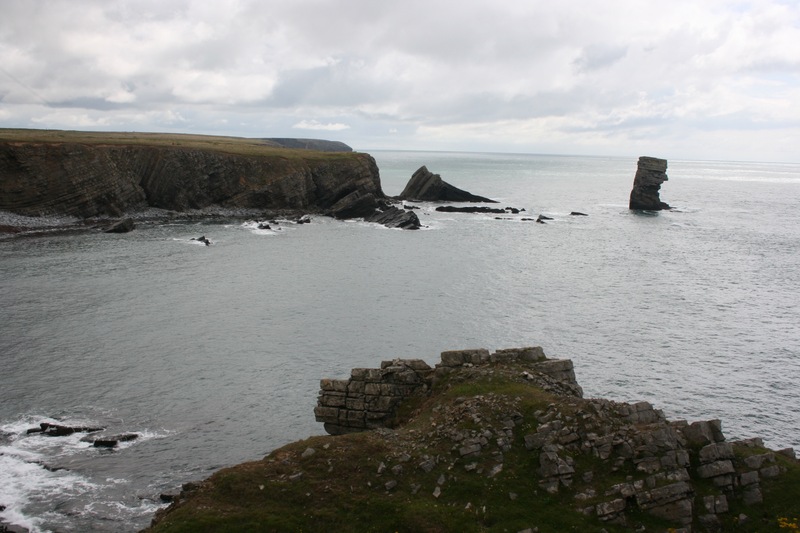 Another feature of Castlemartin which is really unusual is what we call the sunken forest. It’s hard to describe but essentially there’s a deep and steep-sided pit with full-grown trees growing up from the bottom. The tops of the trees are level with the grass outside of the pit and are Castlemartin’s only area of semi-ancient woodland. The days when I get to spend a lot of my time outside are always my favourites when my surroundings look like this. Nice read and information, thanks! What a fantastic place to work, thank you for sharing. Interesting - good to know of the old mill etc. I think the 'sunken forest' may be caused by a limestone collapse - making a crater and then trees growing in it - we have a few around here and one in a field not far as well - water in the bottom and large trees that just peep out over the top. no - the pit was a brick works, extracting clay, which was fired and then shipped from the nearby coast. Hi Steven. I grew up in Pembs and my family are still there. I remember the strangely comforting "crump crump" of the firing at night as a child, runs out to see "Romulus and Remus" were a favourite, as was the ride on a German tank ! So sad to read about the casualties. I guess keeping the rest of us safe is a dangerous business. 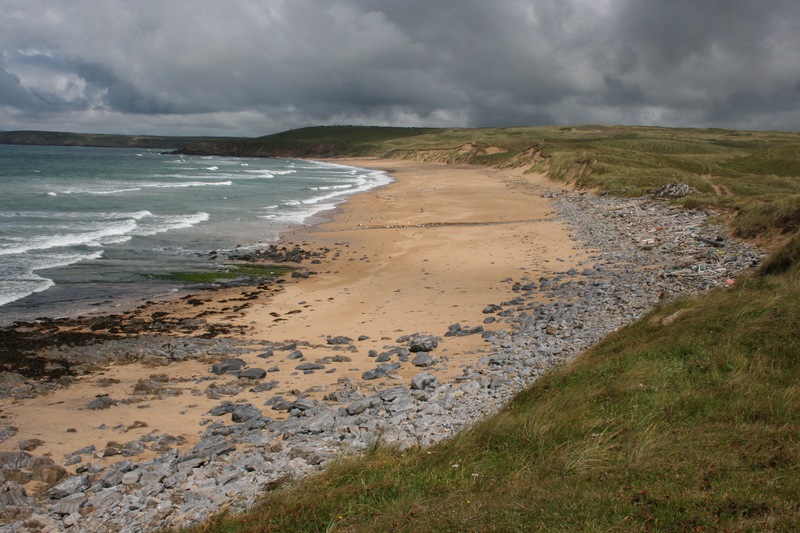 Many thanks for your kind words and best wishes, and for sharing your memories of Castlemartin. We are all thinking of the soldiers involved. 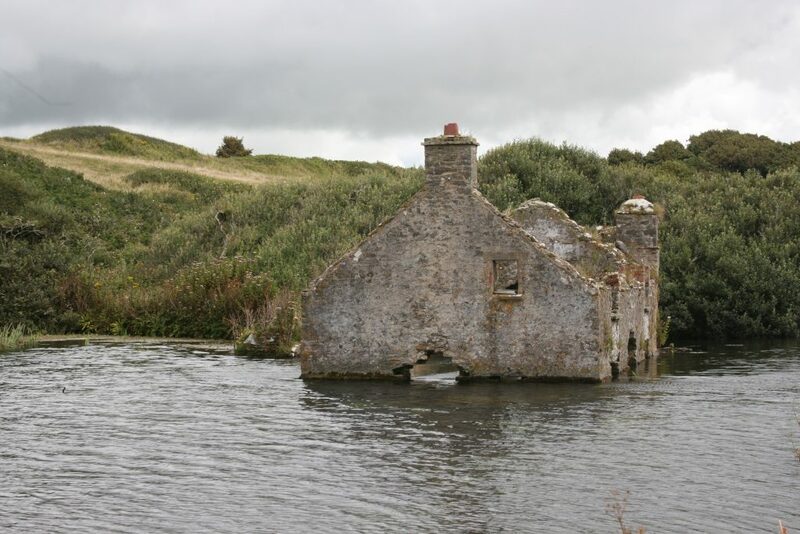 Hi there, Im on holiday in Pembrokeshire this coming July and would like to know if the Warren viewing area is going to be open as its hard to find any information online about it? Is it open daily or just at random times? Hi Steve, we're responding to you on Twitter on this. Thanks for reading! Hi Chris. Do you mean sea shells or munitions shells? If the latter, absolutely not - to do so could be extremely dangerous.